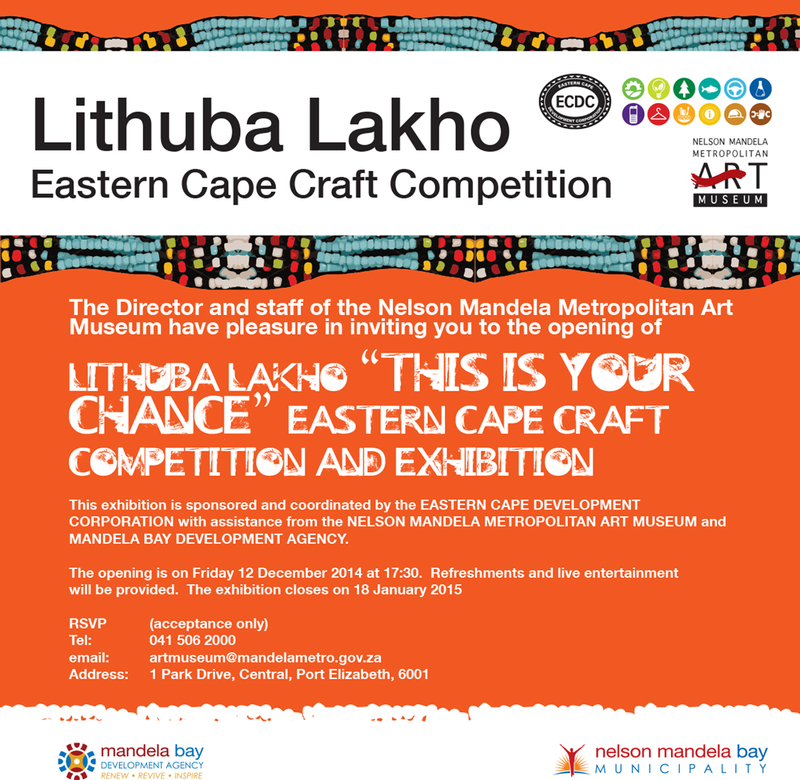 Join us for the Lithuba Lakho Eastern Cape Craft Competition exhibition, opening function. The exhibition will be opened byECDCExecutive Manager: Development Investments, Ndzondelelo Dlulani. Live entertainment and refreshments will be provided. 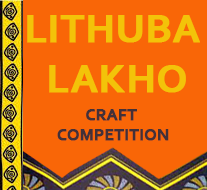 LITHUBA LAKHO CRAFT COMPETITION AND EXHIBITIONis designed to promote top export quality craft from a diverse range of disciplines and has been sponsored and coordinated by the Eastern Cape Development Corporation with assistance from the Nelson Mandela Metropolitan Art Museum and Mandela Bay Development Agency. Teams of craft experts travelled around the Eastern Cape visiting 19 towns and cities and selected the best examples of craft currently produced in the province. The final selection to choose the top three award winners will take place on Thursday 11 and the winners will be announced at the exhibition opening. The top three crafters will each walk away with prizes to the value of R20000 and an opportunity to attend Design Indaba Conference held annually in Cape Town. Anyone interested in attending the opening can send RSVP (acceptance only) to the NMM Art Museum, Tel: 041 506 2000, email:artmuseum@mandelametro.gov.za.Address: 1 Park Drive, Central, Port Elizabeth, 6001.